Views Over The Old Town & Södermalm. 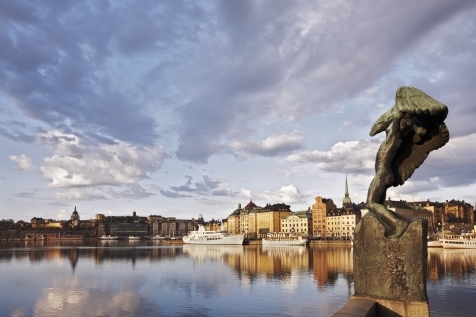 Fly to Stockholm Arlanda airport and make your way to your home for the next 2 nights. The First Hotel Reisen, situated on the harbour front of Gamla Stan was originally built in 1760, and is a cosy and charming ‘home from home’. Rooms have views of the Old Town alleys or waterfront, some boast Jacuzzis and balconies. The popular bar and restaurant have a traditional Swedish focus and the small spa is located in a historic vault, which forms part of the old city wall. Gamla Stan, or the ‘Old Town’, is one of the largest and best preserved medieval city centres in Europe and a stroll around its cobbled streets transport you back to this era. Elsewhere, grand public buildings and palaces show off the city’s illustrious 700 year old history which is also celebrated in its many museums. 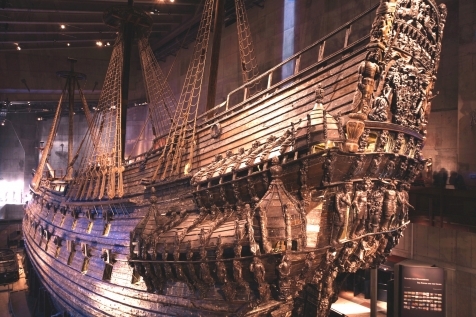 Visit the Vasa, which houses the only almost fully intact 17th century ship, dance at the ABBA museum or check out fantastic views from Skansen, Stockholm’s open-air museum and zoo. A visit to Östermalmshallen, a food hall brimming with delicacies, will only tempt you to further sample the delights of Nordic cuisine in one of the numerous cafes and gourmet restaurants that populate the city. It is an early start today, but not one that you will regret. Self-transfer to the Silja Line ferry port in time for the morning sailing to the Åland Islands. The ship slips through the almost continuous archipelago between Stockholm and Mariehamn, travelling so close to some of the islands you can almost touch the shore and can only wonder at the Captains steering skills. There is time for lunch on board (pay locally) before arriving in Mariehamn. Transfer to the Savoy Hotel, Mariehamn, which is just a short distance by taxi from the ferry terminal. The remainder of your time is at leisure. Mariehamn has many attractions, most of them connected to its seafaring heritage. Visit the impressive Maritime Museum and the well-preserved four-masted barque Pommern. The morning is free to enjoy, before returning to the port and sailing onwards to Turku. The long summer evenings mean that you can enjoy the views of the islands and catch a glimpse of how the Finns enjoy island life. Arrival in Turku is around 19.15, and it is just a short transfer to the Radisson Blu Marina Palace, located overlooking the Aura River. Today is for you to explore Finland’s former capital. 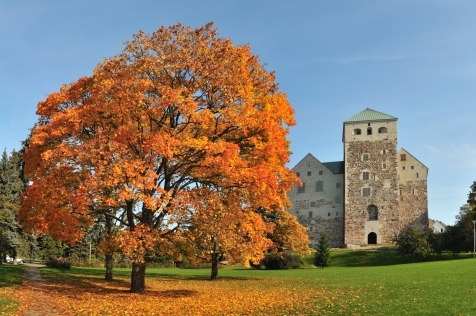 Visit the dramatic Turku Castle dating back to 1280; three museums (Maritime, Sibelius and Art) or visit nearby Naantali with its old wooden houses and narrow streets, beautifully positioned at the sea’s edge. Overnight once again at the Radisson Blue Marina Palace. 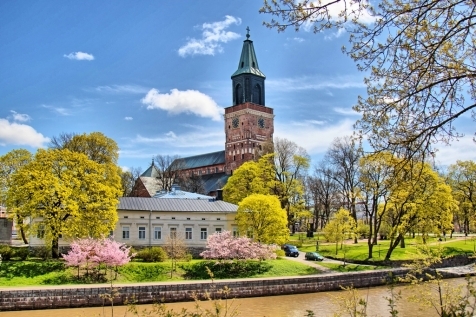 We suggest that you continue to enjoy Turku and maybe take a spot of lunch before heading to the train station for the 2-hour train journey to Helsinki. The intercity train is normally double-decked, enabling you to enjoy great views of the country-side from the top. On arrival in Helsinki, transfer to your hotel – The Sokos Hotel Torni. This hotel has a colourful history as a result of being one of the longest operating hotels in Helsinki. It offers individually designed rooms that incorporate original features such as tile stoves and Victorian style baths. Rooms on the higher floor have impressive city views. 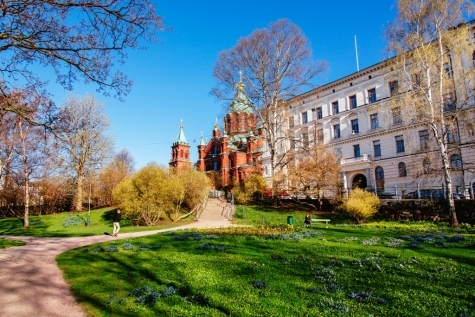 Helsinki delivers a remarkable array of experiences, reflecting periods of Swedish and Russian rule, its strategic location between East and West, together with an intriguing mix of some spectacular modern architecture. Meander through the largest concentration of Art Nouveau buildings in Northern Europe and visit some outstanding museums. It is difficult to ignore the imposing Helsinki Cathedral. Take a short ferry ride from Market Square to Suomenlinna Sea Fortress, one of the largest in the world, and go on a culinary adventure at the Old Market Hall. There is still time to enjoy the capital and perhaps some shopping before returning to the airport in time for your flight back to the UK.